How We Roll, Sept. 30: who said we have a tremendous traffic problem that is steadily growing worse? We have a tremendous traffic problem that is steadily growing worse. Half-hearted routine measures will not meet our difficulties. We must have boldness. We must have far-sighted thinking. ICYMI: I wrote a thing about the Olympics possibly coming to town in 2024 and not ruining traffic forever. Dept. of Limbs: The Rams will make it three Ws in a row (I’m already counting on them beating the Sammy Watkins-less Bills next week) by un-nesting the Cardinals in suburban Phoenix on Sunday. Remember: there will be extra Expo Line and Silver Line service to the Oct. 9 game at the Coliseum. Reminder 1 — The walk-up price of Metro Bike Share in DTLA is $3.50 effective Saturday. Wanna save some dough? Consider a $20 monthly pass or $40 annual flex pass. Details here. Reminder 2 — register to vote please! Could be the last time that humans are on the ballot! In one sentence: more questions than answers at this point, the most pressing being why the train failed to stop and whether it entered the station going faster than the 10 mph speed limit. One person was killed and more than 100 suffered injuries in the crash that happened during the Thursday morning commute at a major commuter rail hub across the Hudson River from Manhattan. The above video shows media interviewing T-Bella-Dinh-Zarr, the Vice Chair of the NTSB, the federal agency that is investigating the crash. Attentive Source readers know that the past few years have not been the happiest of times for the Washington Metro rail system — which has suffered fatal crashes, maintenance woes, ridership declines and an emergency shutdown earlier this year because of train safety concerns. If you listen to their stories, you hear them sounding off familiar frustrations that Metro’s management kissed off for years. But their stories also speak to the adaptability of the modern commuter — and the challenge that Metro’s leaders must meet before ex-Metro riders return. Both the stories and comments should be vital reading for anyone interested in public transit. Some of the concerns expressed are local. Some are universal to transit, I think. In FY2015-16, LADOT implemented 8.8 miles of bike lanes, 1 mile of protected bike lane, 6.5 miles of bike path, and 0.8 miles of sharrowed bike routes. LADOT continues to count mileage using their new “lane miles” metric, which essentially double-counts most facilities, compared to pre-FY2014-15 statistics. One thing worth pointing out: under former L.A. Mayor Antonio Villaraigosa there was a big push to increase the number of miles of bike lanes before the end of his second term. The public policy question is whether all those lanes were necessarily of high quality and whether they are attracting cyclists. For example, as far as I can tell the bike lanes along Huntington Boulevard in El Sereno and Mission Road in Lincoln Heights remain attractive mostly to Invisible Bike Riders. Speaking only for myself and my Invisible Counterpart (Esteban el Oso), I vote for more protected bike lanes until self-driving cars, big rigs and buses hit the road and eliminate all safety concerns, all traffic, all need for parking, all jobs that require driving and all that is wrong or not wrong with everything as we know it. A fanciful rendering of MSG and Penn Station. Credit: NYT. Not waiting for civic leaders to do the deed, the NYT asks an architect to reimagine Penn Station, the once grand train station now stuffed beneath the bowels of Madison Square Garden. Cool article + multimedia. 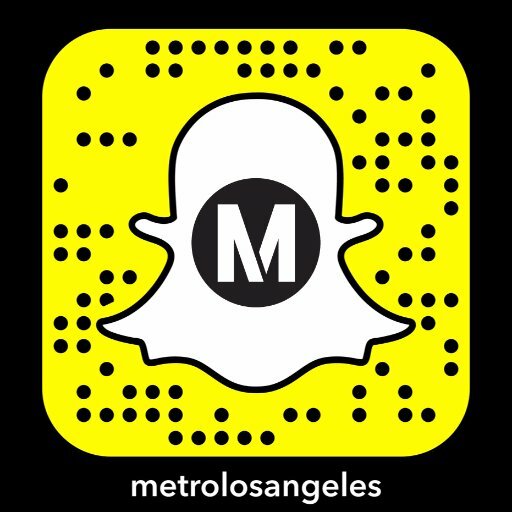 If you’re new to following Metro, we have a big master plan for a very revamped L.A. Union Station. More here. Actually, it didn’t. But the Obama Administration in an affordable housing toolkit released this week, said requiring extra off-street parking wasn’t helpful when persuading developers to build more affordable housing. That allowed Wired to declare the parking war got serious and cite some examples where some large cities have eased parking requirements in central business districts in recent times. Correct, as with many things that ill cities, there’s no one quick fix. The Dodger Stadium Express has been resting its tires, awaiting the Divisional Series that begins next week against the Washington Senators (Nationals is a dumb name; so is Senators but at least it came first). But what happens if…the St. Louis Cardinals manage to capture a wild-card berth, win the wild-card game, beat the Cubs and then defeat the Dodgers, heavens forbid, in the NLCS? If that comes to pass, you can thank the ongoing conspiracy by professional sports against teams from Cincinnati. Attentive Source readers already know about the NFL’s thus far successful efforts to keep the Bengals from advancing beyond the wildcard round. And now it’s baseball, too. Last night in St. Louis in the bottom of the ninth, this happened: the umps allowed the Cardinals’ winning run to score from first on an OBVIOUS ground-rule double. And then the umps fled the field before the Reds had time to question the call. CONSPIRACY! We can only hope that Reds manager Bryan Price does the decent thing before tonight’s game against an entirely different team. When Price delivers the linup to the umps before the game, he should berate all umps and the MLB until he is ejected from the contest. At least he will have fought the good fight. As for the Crooked Cardinals, they’re still one game out of a wildcard spot with the Giants and Mets ahead of them. Let us all pray it remains that way, even if rooting for the Giants and Mets sickens you (the Giants spawned the Mets, after all). I grew up hating the Dodgers because I grew up in Cincy in the 1970s, so I can tolerate the Giants advancing — plus I like the idea of a Giants-Dodgers NLCS. I would normally hate the Mets more than the Cardinals, owing to the disgusting result of the ’73 NLCS, but this is just too much so I hope the Mets deliver justice to the Cards and banish them from the airwaves until next spring. Oh, and you can learn more about the Dodger Stadium Express here. It’s convenient and free! Answer to quiz: that would be L.A. Mayor Norris Poulson, who uttered those words in 1953. The quote was cited in this long-ago LAT article by one of their long-ago scribblers. Yeah, I’m on Twitter and lose three followers per tweet! No, Steve, too late. That was four years ago. I’m with you on the need for Protected Bike Lanes. Out here in the SFV the only decent marked bike lane on a street is along Chandler, which is part of my 4 mile route to the Red Line station. Thankfully, Chandler is a wide street, but even that one is risky at times when traffic is heavier… risky because there are so many inattentive drivers who routinely drift into the bike lane, which is very unnerving to cyclists. I usually ride on the sidewalks for that reason — it’s just too dangerous to ride on the streets in the SFV with no protection from errant drivers always in a hurry. There needs to be a vigorous bold aggressive campaign to remind motor vehicle drivers that they MUST share the roads and be on constant alert for cyclists. Too many drivers are either not paying attention or act as though we are completely invisible. Great point, Bruce. I think the whole distracted driving thing — and the relatively lax enforcement of it nation-wide — has been a real detriment for cyclists.